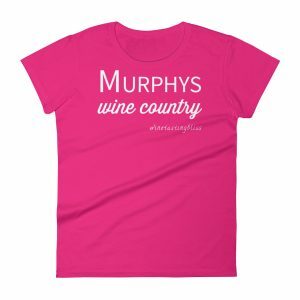 Discovering new wineries is a thrill that never gets old for us! 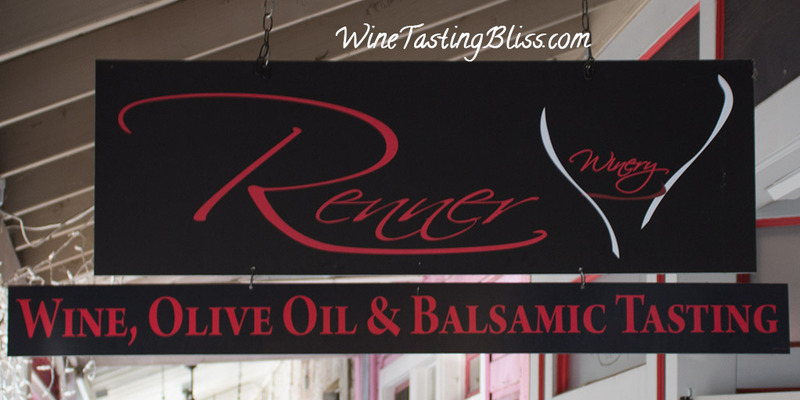 Strolling on Main Street in Murphys led us to another exciting new adventure: Renner Winery. As we entered the tasting room, we found an artfully decorated room, with pastel walls, stone bar tops, cowhide area rugs and fun wine barrel table tops. There was a group of tasters celebrating a bachelorette party and a few groups of people at the bar. 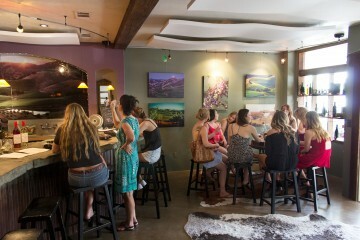 Overall, the room had a relaxed, refined vibe that welcomed newcomers and made everyone feel welcomed. We chose a barrel-top table and sat down for our tasting. Yes, that’s right, we sat down! We always have extra appreciation for any tasting opportunity that allows tasters so inclined to enjoy their tasting while sitting. Hours of non-stop standing during a day of wine tasting isn’t as comfortable as it used to be. It must be something to do with increased gravity, it can’t be old age! 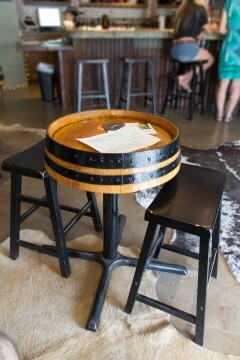 We were very appreciative to the Renners for providing comfortable stools for a seated tasting experience. The table was set up with a tasting menu, plus literature about their artisanal olive oil and vinegar offerings. We were greeted by co-owner Diane Renner, who set us up with glasses and started our tasting with their 2015 Sauvignon Blanc. We appreciated the pineapple and citrus notes, with some light butter on the finish. Their 2015 Mia Bella Rosé, based on the Syrah grape, had a fun effervescence that transformed the explosion of fruit into a pool party pleaser. We then transitioned to reds, starting with their 2010 Malbec. Aged on American and French oak, this was a red wine lover’s dream: lots of body and gripping tannins. Their 2012 Trilogy, a blend of Syrah, Malbec, and Zinfandel, was full of interesting fruit notes. Drinkable now, but probably amazing in 2-3 more years. Their 2012 Petite Sirah made a lot of friends at our table, with great balance and nuanced pitted fruit flavors. Diane called their 2012 Syrah their “Signature” wine, and we completely understood. Exceptionally smooth, with great balance and limited tannins. 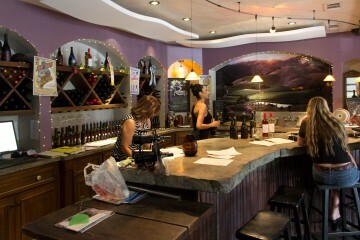 Diane shared that they sell some of these Syrah grapes to other wineries, which also go on to win awards. That’s a nice legacy! We finished our tasting flight with their 2012 Late Harvest Syrah. A wonderful dessert wine, this was not syrupy, showing bright raspberry and raisin notes. 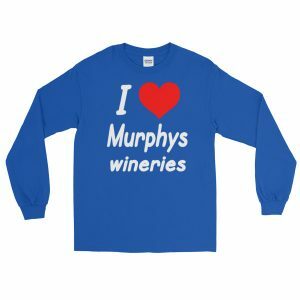 Tasting complete, we made our purchases of wine and olive oil, thanked Diane, and set off into the heat of the Murphys summer. 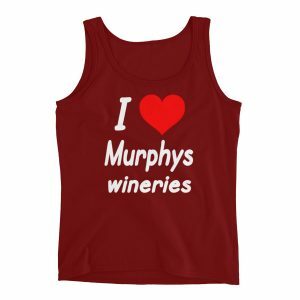 There are more wineries to visit! 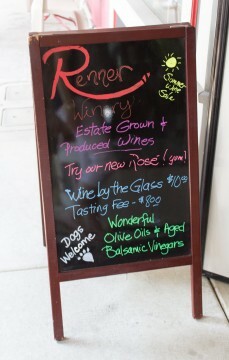 Have you visited Renner Winery? Click to give'em a tweet of support!